As an editor, working to display others' voices in print, I try to avoid the traps of rigid rules. I ask questions and propose alternatives and present my reasons, and nineteen times out of twenty, the writers tend to agree. And as a writer, I deeply appreciate editors, following most of their advice and offering reasons and my thought process for the few points on which we may not agree. Such is the writing-revision-editing process. But some readers and writers try to impose restrictions on the choice of story or basic elements like setting, protesting themes or methods or research before the words even hit the paper. And this I resist, and I'll continue to rebel against such rigid attitudes fiercely. Virginia Pye writes about one category of writer-reader for the New York Times: "When I tell people that I have recently published a novel set in China, one of the first questions they ask is whether I’ve been there. My response seems to be a letdown. The expectant look on their faces shifts as they wonder why I chose to write about a place I’ve never visited. Sometimes I sense incredulity. What makes me think I can write about China?" And Pye goes on to describe the beautiful and good reasons why China as a topic tugged at her, much how I described being drawn to write about Afghanistan despite having never traveled to the country. Readers don't have to read books written by those who have never traveled to those settings, but shrill demands that we stop writing about certain topics can only be described as censorship. "A story about a woman desperate to learn how to read cried out to be told, and a trip of a few weeks or months could not have compensated for imagination and my own life experiences with literacy. More essential for a tale is a writer's observations of ambition, relationships and affairs of the heart. "Alas, for writers who think they must travel to write: Your readers will still conduct their purity tests. My first book was set in Alaska where I had lived and worked for five years, and readers still pepper the traveler-writers with questions on how long you stayed and where, and censor themselves accordingly." 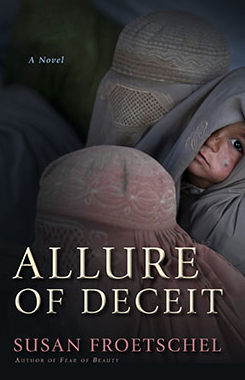 "I strongly disagree.... My forthcoming novel is set in the States and in the Pashtun area of Pakistan. I thought I knew what I was about after reading a dozen books on Pakistan and Pashtun culture. But I had no idea - none - about the true similarities and differences between my culture and theirs until I spent serious time in that dangerous, difficult, head-spinning place and got to know its people." My experiences may not include travels to Afghanistan, and a village like Laashekoh may not exist. It may not matter to some readers that I grew up during early years in one household where dreams of travel or cultural exchanges were unthinkable, that I have read and researched and written and edited articles about globalization for the past eight years, or met with refugees and worked as a literacy tutor with adults who cannot read. I make no apologies for my lack of travel or life experiences. The story probably has errors - particularly on the military side - but the story about a quest for literacy and family relationships is not automatically inauthentic, as suggested by Lucy in her comment. No worthy, caring teacher would discourage students against exploring by writing about a setting, a time period, a career, a condition that they have not personally experienced. 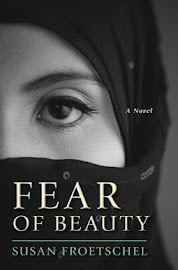 The intention behind Fear of Beauty may not be a story about Laashekoh or Afghanistan but rather a warning for women of my own country about how the powerful use religion and fear and rules to restrict basic curiosity. Never, never let anyone restrict where you choose to direct your literary curiosity. A happy new year, one that is full of exploring and curiosity. 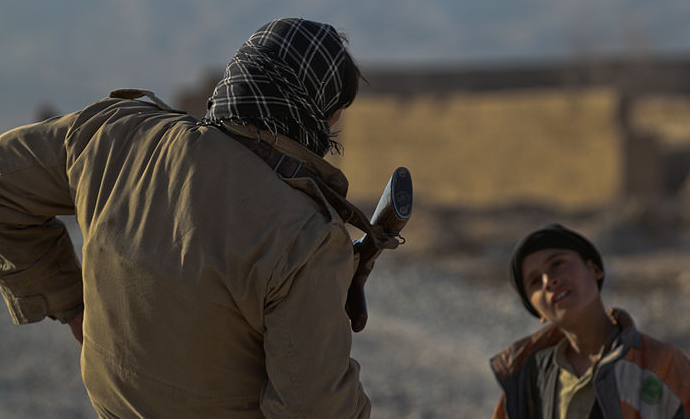 Photo of an Afghan National Civil Order Policeman in Wishtan, courtesy of Lance Cpl. Timothy J. Lenzo and Wikimedia Commons.